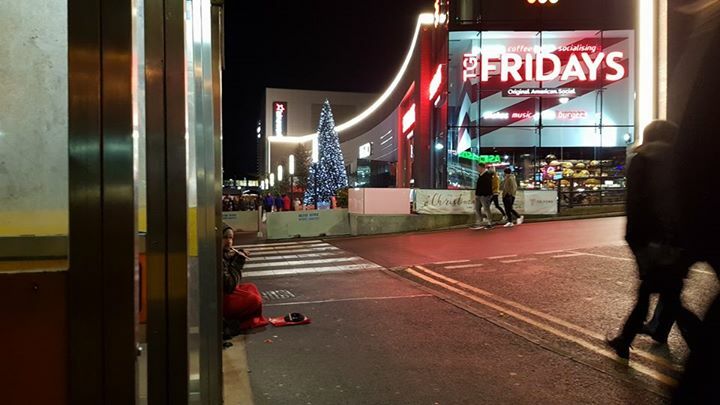 Telford residents took to Twitter to express their thoughts about a handful of beggars at Southwater, currently home to the European Christmas Market. Some felt unsafe opening handbags around the parking machines while beggars were close by. Have your say. How do you feel about begging? Have you experienced being asked for cash at Southwater? Do you give to beggars? Colder it gets, The fakes disappear. They are always there,I won’t give money but did buy them some food. I don’t think many are actually homeless. I think the local authority should investigate their current status. If found to be genuinely homeless, offer support. If not genuine, arrest the fakers and move them along. Nothing worse then people pretending to need help, with people who are genuinely struggling around the corner. I got stopped by a man asking for money to get a tax to the PRH. I said I had no money but he persisted and as I had my young child with me I felt very vulnerable. As he wouldn’t go away, I said I only had 50p and he asked for that. I don’t like going to southwater now esp with my child. I don’t give ££ to beggars, what I will do is offer to ring the rough sleeper line 01952 259204 or The Homeless worker from Stay Project. There isn’t help for the homeless. I had a child when I became homeless and was lucky to have a good friend, the council never helped. Some are genuine, others are there due to their own fault in regards of drugs. I wouldn’t judge lightly on the homeless, maybe the council should investigate and actually help the situation in south water for once..
Im asked every time I pass, they even ask my children, one is early teens and looks younger! They find it intimidating. I did give one young guy some money once, as he hadn’t asked for anything. Haven’t seen him recently. Again charities are expected to pick up the pieces because people are let down by the council, mainstream services and the so called powers that be. For those who are genuinely homeless or need support this is a disgrace!! There is always a bloke in a wheelchair claiming he lost his legs in the war. Truth is it’s down to drugs…….. I offer food, a warm drink and just give the benefit of the doubt that not everybody is on the take and this person might genuinely not know where that next meal is coming from. We’ve hit the minus point on the thermometer the last couple of nights, I just appreciate how lucky I am that I have heating at the flick of a switch. I wish I had enough money to really help and make an actual difference. Unfortunately like many others I rush past because I’m barely keeping my own head above water.